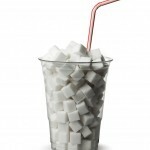 In a press release issued yesterday, HealthDay News reported that a leading consumer advocacy group, along with nutrition experts and health agencies from a number of U.S. cities, are calling for lowering the amount of sugars added to soft drinks. Led by the nonprofit Center for Science in the Public Interest (CSPI), the group sent a petition to the U.S. Food and Drug Administration asking the agency to determine safe levels of high-fructose corn syrup and other sugars in sodas and assorted soft drinks. Currently, the average 20-ounce bottle of soda contains about 16 teaspoons of sugars made from high-fructose corn syrup, the CSPI said. The American Heart Association currently recommends that men consume no more than 9 teaspoons of added sugars daily, and women no more than 6 teaspoons’ worth. Some 14 million Americans of all ages now get more than one-third of their calories from added sugars, the petition stated. “The consumption of such high amounts of sugar and high-fructose corn syrup [in sodas] are causing serious health problems, obesity, diabetes, heart disease, among others,” said CSPI Executive Director Michael Jacobson. There’s been a great deal of scientific evidence gathered over the past decade to support that link to health problems, he said, and “we’re contending that much of the evidence centers around beverages.” The CSPI believes most sugary sodas could be safely replaced by those made with low-calorie sweeteners. The group said its petition has the support of public health departments in Baltimore; Boston; Los Angeles; Philadelphia; Seattle; Portland, Ore.; and other cities, as well as leading academics at Harvard and Yale universities and other institutions around the country. According to Jacobson, the FDA is legally bound to examine the health effects of the amount of sugars being consumed and take corrective action. The center is first asking the FDA to determine the safe level of sugar in drinks. Also, it wants the FDA to issue targets for the sugar content of other sugary foods and urge industry to voluntarily reduce sugar levels in those foods, Jacobson said. “The third thing is to educate consumers to choose healthier foods and beverages,” he said. The FDA classifies high-fructose corn syrup, sucrose and other sugars as “generally recognized as safe,” Jacobson said. “What we’re asking the FDA to do is to modify those regulations and set some limits in beverages,” he said. In the 1980s, the FDA twice committed to looking at limiting the level of sugars in foods if new scientific evidence found sugar levels were harmful to the public, or if sugar consumption rose, Jacobson said. “We are reminding the FDA of that and saying you have an obligation to revisit this and protect the public’s health,” he said. It will take years before any action is taken, but that gives industry time to adjust to using less sugar in drinks, Jacobson said. Jacobson said economic issues shouldn’t be part of the FDA’s consideration. “There are winners and losers for any kind of a regulation. The sugar industry and the corn industry [which supplies ingredients for high-fructose corn syrup] would be losers, but the soft drink industry might be winners,” he said. The makers of no-calorie sweeteners “would probably make out like bandits,” Jacobson said. The CSPI hopes new sweeteners — such as rebiana, made from the stevia plant — will replace high-calorie sugar, making drinks healthier. Although some people are concerned that these sweeteners may be harmful, Jacobson said they are still a better option than sugar. “The FDA considers all these sweeteners perfectly safe,” Jacobson said. “We think the certain harm that’s coming from the 16 teaspoons of sugar in a 20-ounce bottle of soda greatly outweighs the speculative risk from artificial sweeteners,” he added. “We have an obesity epidemic on our hands, with two-thirds of Americans obese or overweight, and that should take precedence over smaller concerns,” Jacobson said. One industry representative took issue with the new petition. “As we continue to debate the root causes of our nation’s obesity issue, we need to rely on science and facts, not look for quick fixes that draw focus away from developing real solutions to a complex problem,” said J. Patrick Mohan, the interim president of the Corn Refiners Association, which represents high-fructose corn syrup manufacturers. And the American Beverage Association, which represents soft drink makers, said its industry is already making changes. “Today about 45 percent of all non-alcoholic beverages purchased have zero calories and the overall average number of calories per beverage serving is down 23 percent since 1998,” the ABA said in a statement issued Wednesday. And according to the U.S. Centers for Disease Control and Prevention, “Americans are consuming 37 percent fewer calories from sugars in soft drinks and other sweetened beverages than in 2000,” the group added. Soda and other sugary drinks are the single biggest source of calories in the U.S. diet, with Americans, on average, consuming between 18 and 23 teaspoons — about 300 to 400 calories — of added sugars each day, according to the petition. Many teens and young adults consume even more sugar than the average. Some get at least 25 percent of their calories from added sugars, according to the 2007-2008 U.S. National Health and Nutrition Examination Survey. The CSPI petition notes that cities around the country have taken note of the problem and have acted. In New York City, Mayor Michael Bloomberg is capping restaurant soda serving sizes at 16 ounces — a move that has met with considerable resistance from some who believe it tramples individuals’ rights. Note: A judge blocked the enforcing of the NYC law, that was to go into effect earlier this week, just a day before it was to become law.